Home / Collections / Choose the Right Model for You / Surfinshape® Board Bag fits either the "O" or "W"
Each Surfinshape® board bag is made with solution dyed polyester fabric. Solution dyeing is a yarn coloration process in which pigment is added to the melted polymer before the polymer’s extrusion into the fiber and subsequent fabric. This specialized coloration process reduces water use by more than 75% when compared to conventional polyester fabric dyeing methods. The color, is an inherent part of the yarn, which is particularly well suited to the demanding environments that a Surfinshape® board bag might find use in. For example, the outside fabric is impervious to harsh chemicals and UV-degradation. 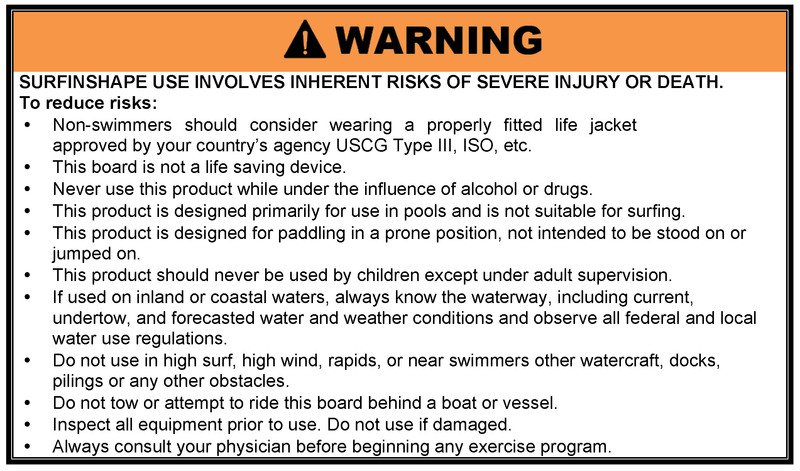 These benefits translate into an ultra-durable board bag that will stand up to regular use and abuse for years to come. The outside shell is protected by 3mm padding to ensure that your gear won’t be easily thrashed by the TSA while you’re on the move. Each board bag includes a center-balanced grab handle and removable shoulder strap. The inside lining of the Surfinshape® board bag is comprised of a heavy-duty water-resistant polyethylene tarpaulin for easily sliding your board in and out before and after a paddle session. The entry of the bag was methodologically designed not to utilize any zippers as they are prone to corrosion. Instead, the Surfinshape® board bag boasts an ingeniously crafted roll-up entry with snap and buckle. There are two adjustable straps which cinch down the sides, so it's as large as it needs to be to fit your gear.